gamey flavour. 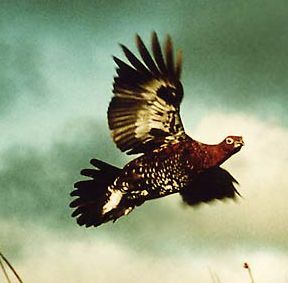 Also in the grouse family: Blackcock (Black Grouse), Capercaillie (Wood or Great Grouse), Ptarmigan (White Grouse). Rules is fortunate in having a Sporting Estate high on the Pennines, in Teesdale, surrounded by some of the best Grouse moors of England and where Rules sources the Red Grouse available to eat in London from 12th August every year.Lartington Hall Park, Rules’ estate is in Teesdale. This is big, rolling country, with bracing air and vast swathes of the springy heather on which the grouse feed. The views are spectacular. To the east is the North Sea, on the horizon to the north are the Cheviot Hills. Should you wish to buy a Grouse Moor, the cost at present, is reckoned to be between £3,000 and £4,000 per brace of Grouse. 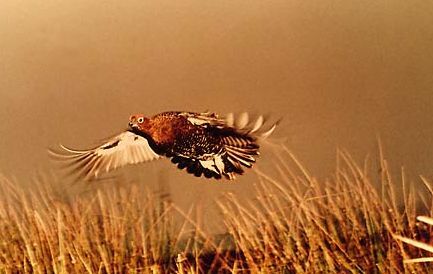 (A Brace is two Grouse and Grouse Moors are usually valued by multiplying the average of birds by the price per Brace). 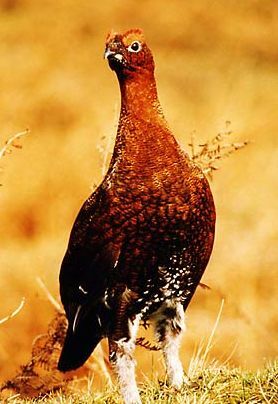 £10 to £22 million pounds is what a good Grouse Moor can cost and the owners are members of the Aristocracy and some seriously wealthy Arab Families. These estates do not make money and most have been in the same family for generations. Deep pockets are a priority. The basic expenses are the costs of keeping the Gamekeepers and the cost of the staff on shoot days. One Gamekeeper costs around £23,000 a year, including the running costs of a Landrover and other equipment and a free house to live in. On a shoot day there will be about 25 beaters, who receive around £25 a day. There are also loaders at around £70 per day and picker-ups at up to £70 per day who, with their dogs, retrieve the shot birds. Finally there are the staff who make the lunch in one of the shooting lodges on the estate. This expenditure makes a big contribution to the local economy – and explains why renting a day’s Grouse Shooting is so expensive. The typical daily rate is between £10,000-£20,000 but the cashflow is irregular as there are years when the conditions are such that no shooting takes place. In recent times income has been very low because the foot-and-mouth crisis restricted access to the Countryside. Managing the heather is the Key to a well-stocked Moor and it is very labour intensive. Getting the right balance with sheep numbers who compete with the Grouse for the good heather, heather burning to encourage young shoots and predator control are some of the jobs of the Grouse Moor Keepers. Grouse Shooting is an important source of work for the locals and Rules’s Ganekeeper is proud to be there at the end of a shoot day helping to count and grade birds some of which are then transported to London to be served at Rules, London’s Oldest Restaurant specialising in Classic Game Cookery.